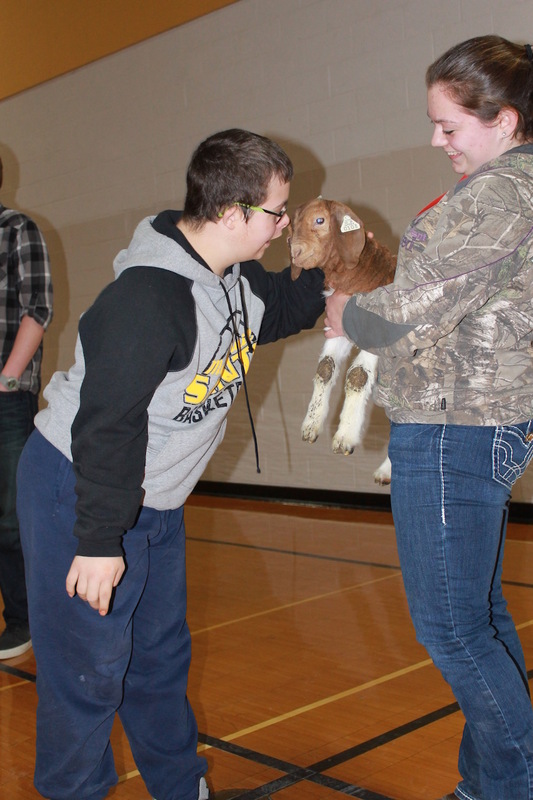 The FFA held their annual kiss an animal contest during the National FFA week. Students put money in the jar of the teacher who they wanted to see kiss a goat . 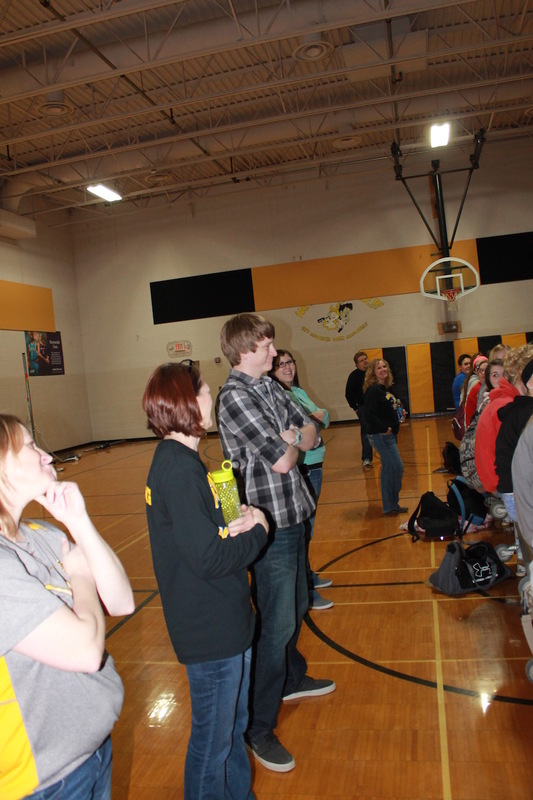 They raised $36.84 and the big winner was Mr. Cole Pierschbacher. 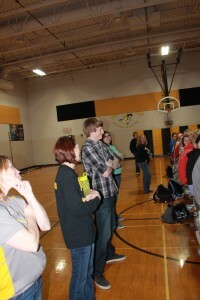 Mr. Pierschbacher is a student teacher from Chariton. He is a student at Iowa State University majoring in Education, with an emphasis on American and World History and American Government. Cole had the opportunity to chose Beau Baughman to also kiss the goat. Thanks to everyone who donated, and a big thanks to Mr. Pierschbacher for being such a good sport and an awesome role model.